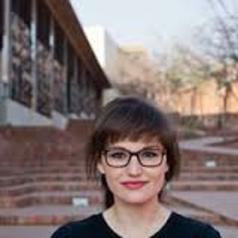 Stacey Vorster is a researcher, curator, and lecturer in Wits History of Art. She completed an MA in History of Art at the University of the Witwatersrand in 2012, where she researched curatorial practice in contemporary African art. From 2012 until 2016, she curated the Constitutional Court Art Collection, which was originally put together by Justice Albie Sachs. Vorster has worked at the Market Photo Workshop in Newtown, where she initiated archival and research projects, and curated exhibitions including 'Pedagogy' (2011) with Molemo Moiloa. Previously she worked on a number of public art projects at the Trinity Session with Marcus Neustetter and Stephen Hobbs. Her research interests include postcolonialism, early 20th-century South African art and exhibitions, curating and exhibition histories, gender and queer politics, public art, archival theory and practice and modernism and modernities. Over the last three years, she has collaborated with Joni Brenner, Laura de Becker, and Justine Wintjes to produce ‘Lifelines’, ‘Life-Line-Knot’ and most recently ‘Lifescapes’ – a series of edited volumes and accompanying exhibitions in collaboration with postgraduate students in the History of Art department. Vorster is currently completing a Ph.D. in cultural analysis at the University of Amsterdam on curatorial practice in post-apartheid South Africa.